The bodice is made of heavyweight black twill and laces up on both sides through professional-strength grommets. The front of the bodice and bodice straps feature beautiful floral-motif embroidery in rich colors. 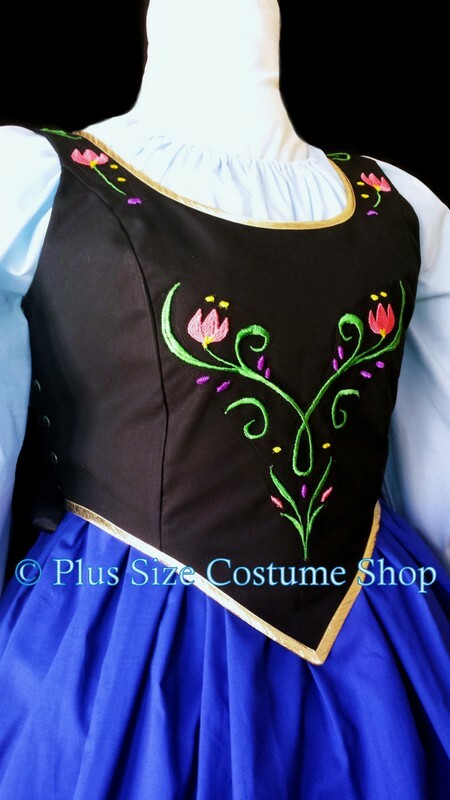 The embroidery is done on black tulle and then stitched onto the bodice (if you are more than a foot away you don't notice the stitching at all, however up close you will see where the design is stitched on). The bodice is edged at the neckline and waistline in gold ribbon. 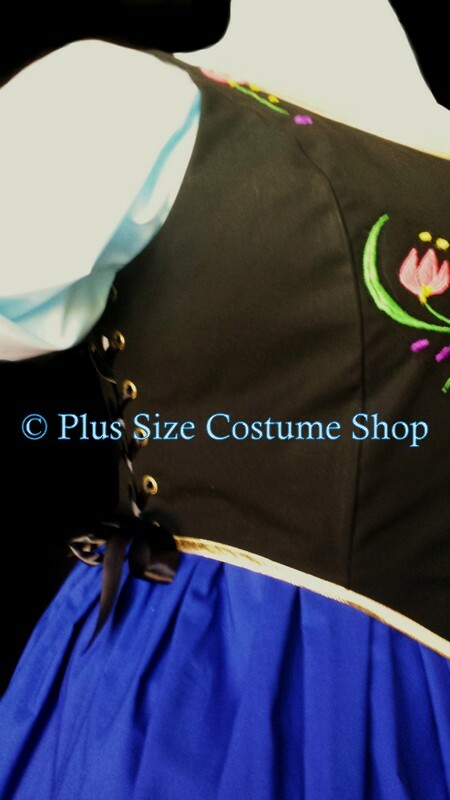 The bodice is fully lined and boned at the lacings. The peasant shirt is long-sleeved and made of light blue cotton. 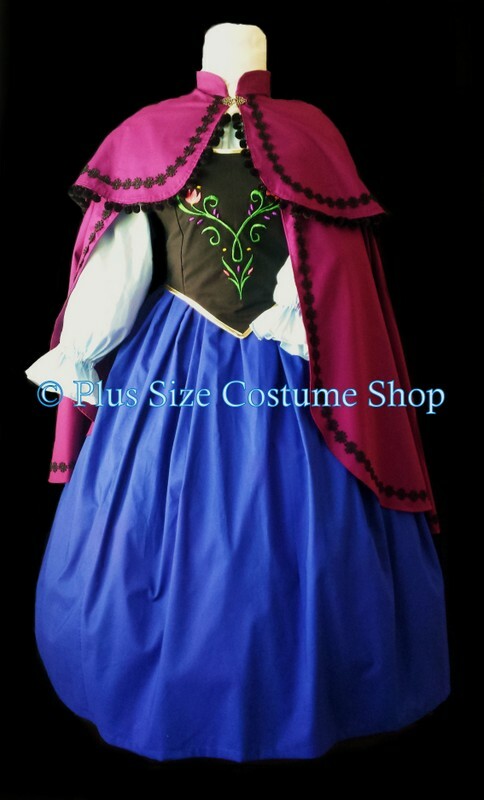 It has elastic in the neckline and sleeves for a comfortable fit. 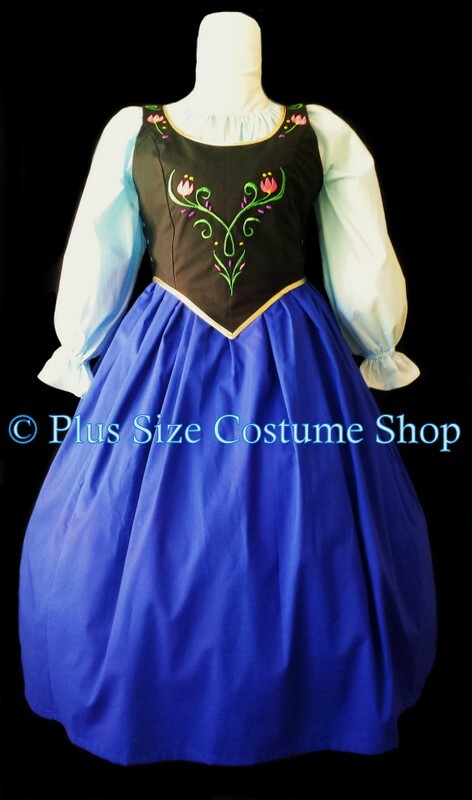 The skirt is made of bright blue cotton. The skirt has an elastic waist for comfort. The skirt will be hemmed at 36" in length (ankle to floor length on someone of average height) unless a specific shorter or longer length is requested. 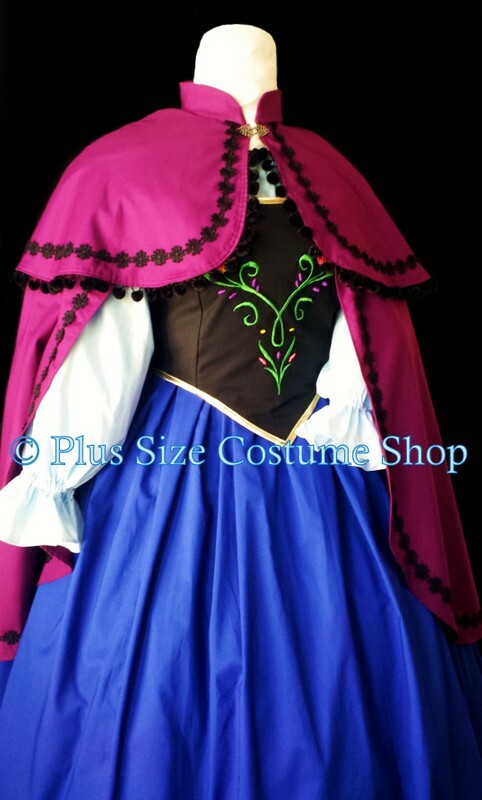 Also included is a gorgeous berry-colored, 3/4 length collar cape with extra shoulder capelet attached. 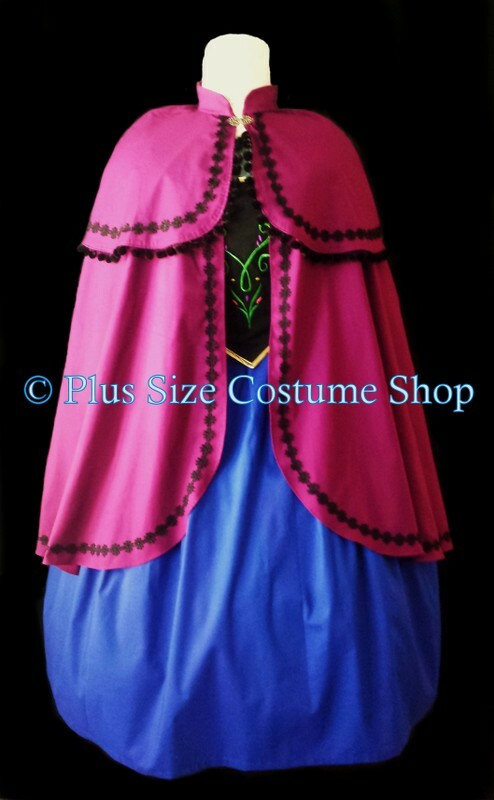 The cape is rounded at the bottom and is longer in the back than it shows in the front. The cape is trimmed in black pom pom ball fringe and embellished with black trim. It closes with a metal cape hook.